I’m probably not alone in the fact that I don’t like to clean. But I do LOVE to find a new cleaner that’s really easy to use and actually works. 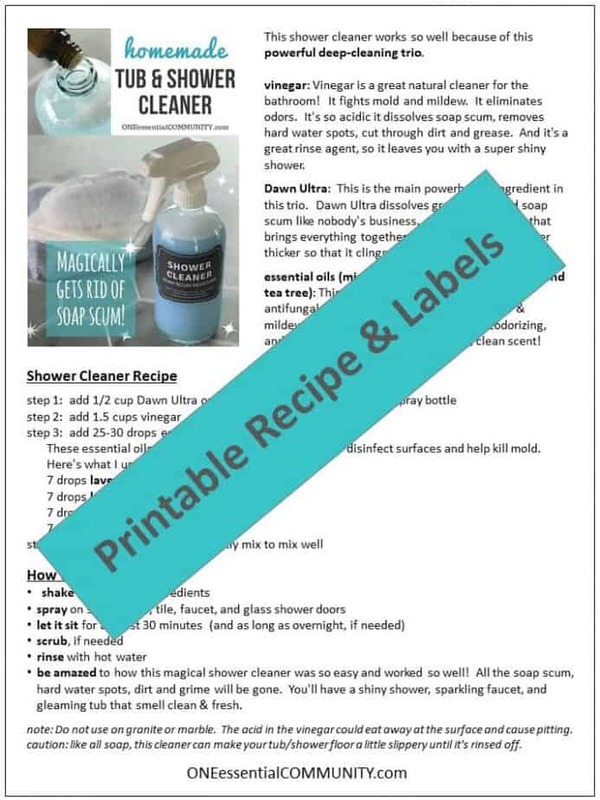 That’s this homemade shower cleaner! 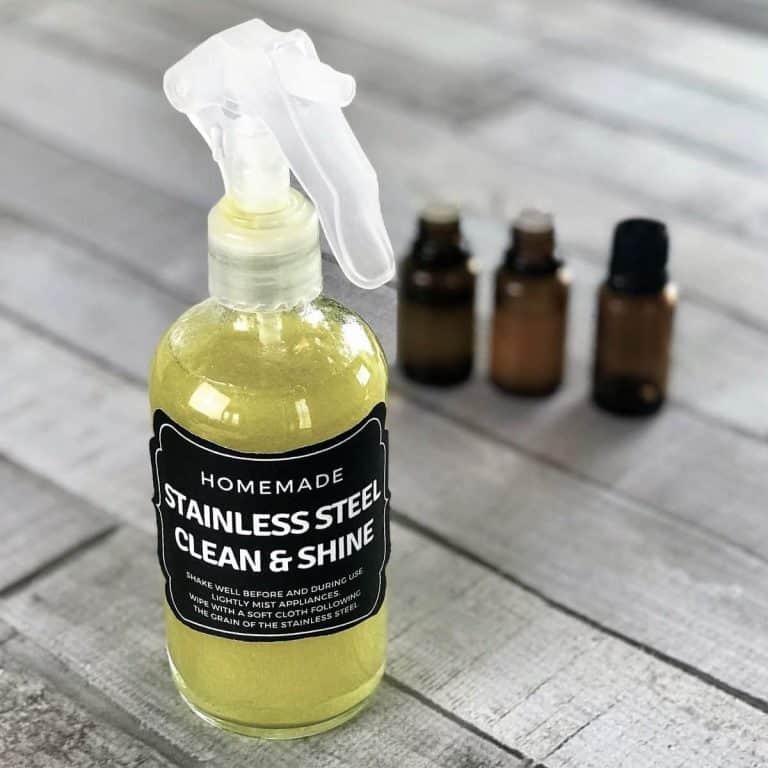 It’s just 3 ingredients, shake, spray, and voila – an hour later my shower is magically super shiny and clean. 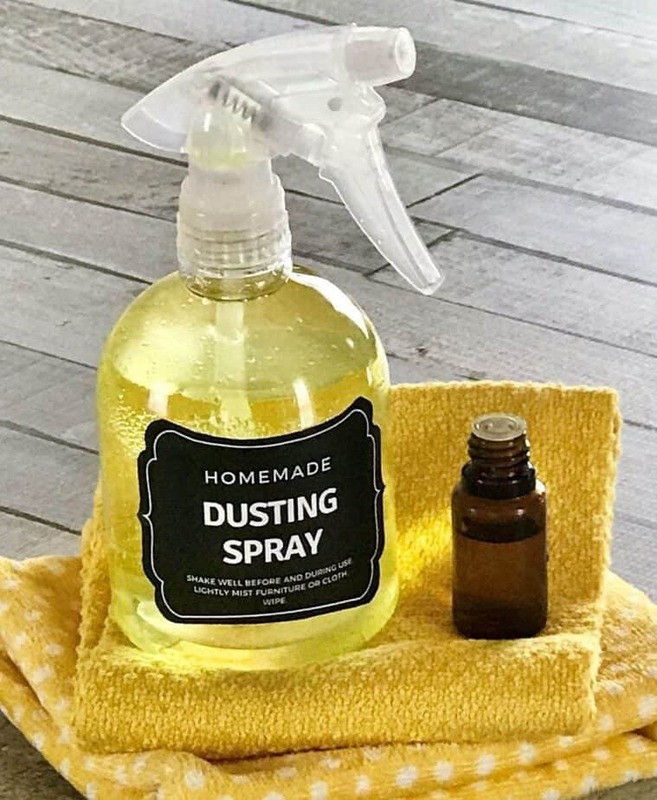 and it does all of this with pretty much no work on my part – I just spray it and leave it. It does all the work. I come back an hour or so later, and my shower has been magically cleaned by this amazing concoction! Usually, I don’t need to scrub or even wipe it down. I simply rinse with hot water and that’s it. I’m done! My glass shower doors are sparkling clear, and my shower has never been shinier. This stuff is a miracle in a bottle! 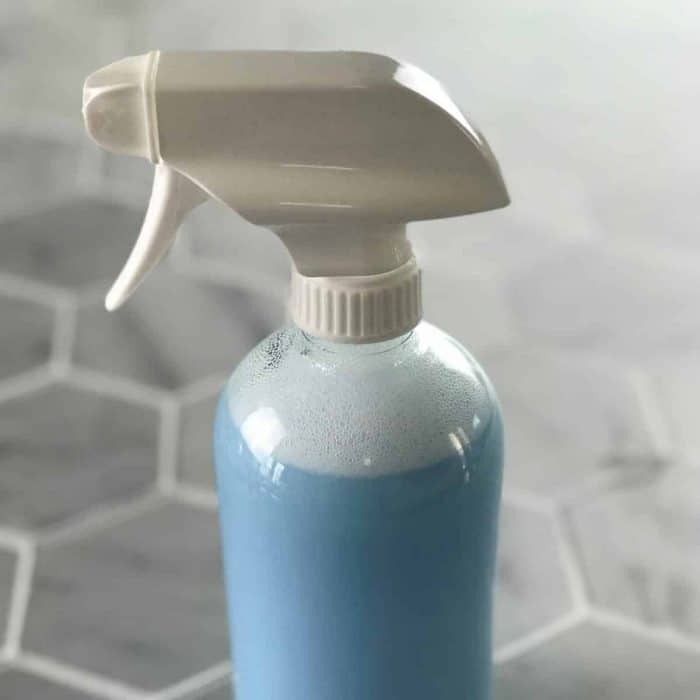 16 oz spray bottle — glass spray bottles like this or this work great, but you can also use certain types of plastic spray bottles that are safe for use with diluted essential oils. Look for plastic #1 PET or plastic #2 HDPE. 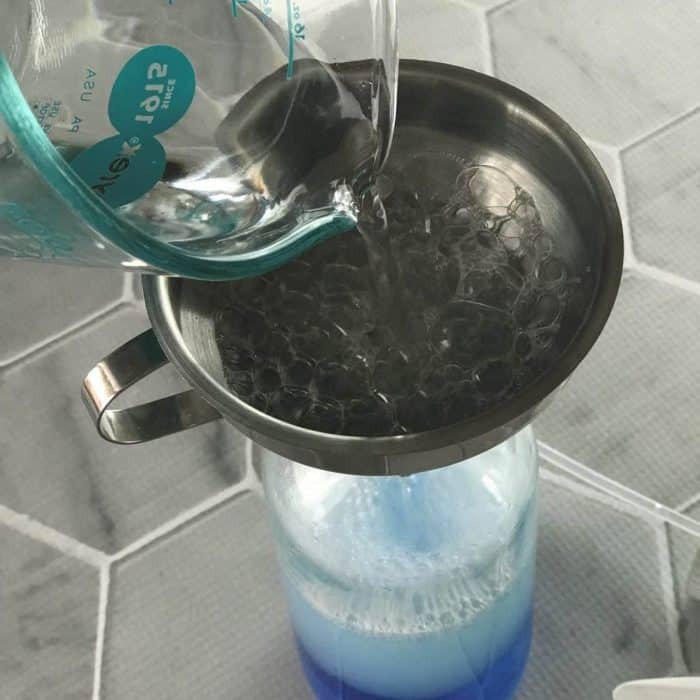 tip: don’t fill the bottle completely full. 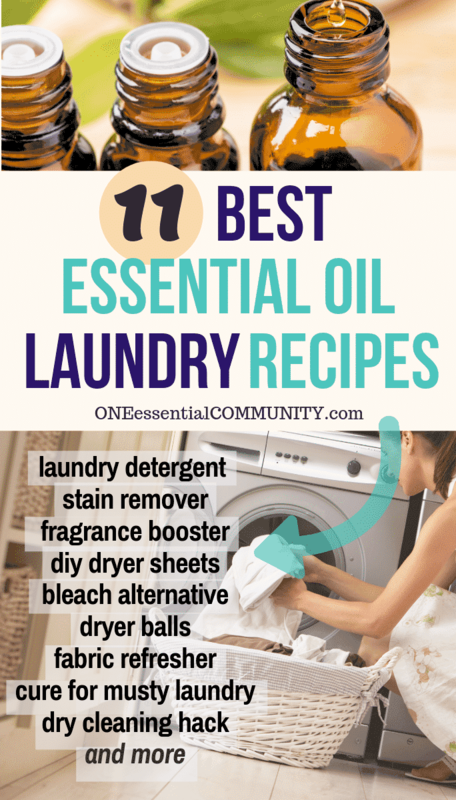 You’ll want to leave a little space for the essential oils and the sprayer. 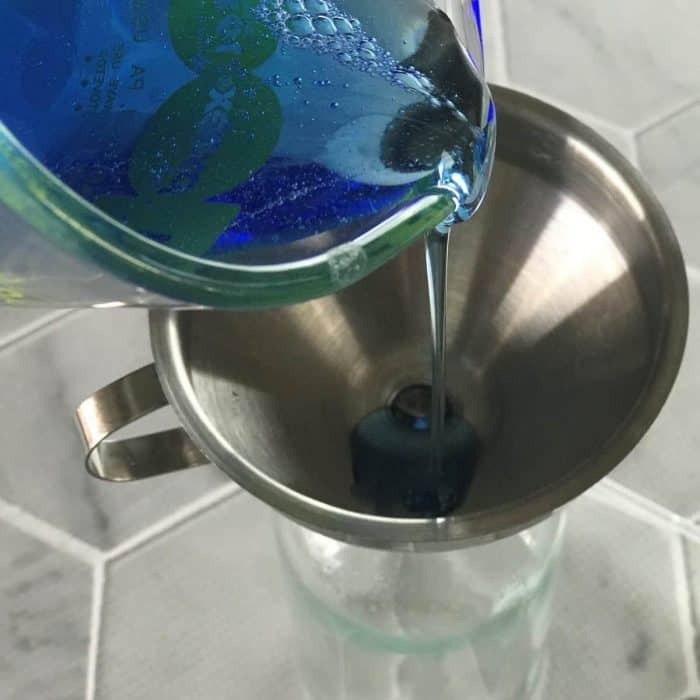 If you fill the bottle too full, then it will overflow when you put the sprayer on. 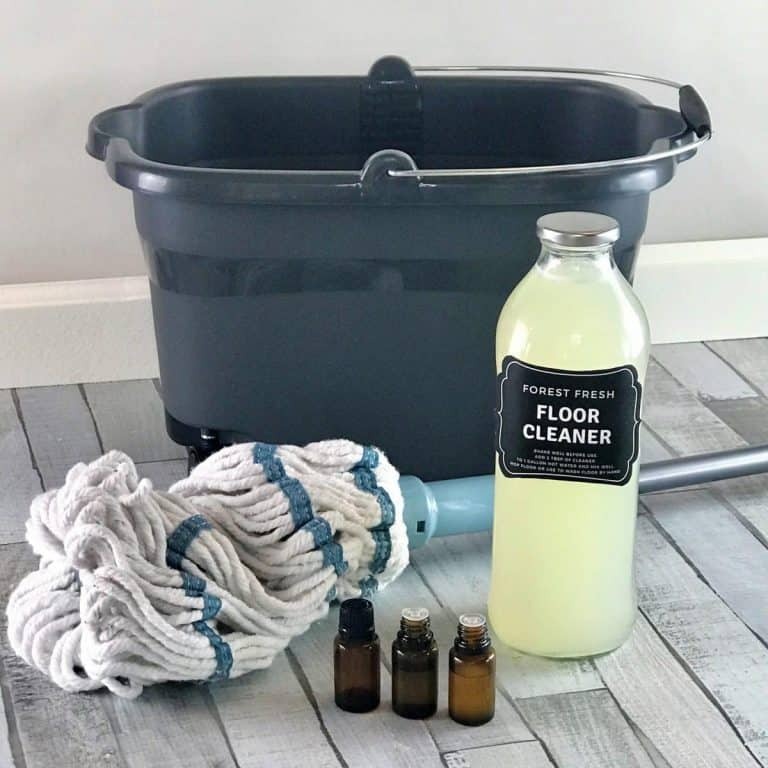 These essential oils not only smell great, they also help disinfect surfaces and help kill mold. 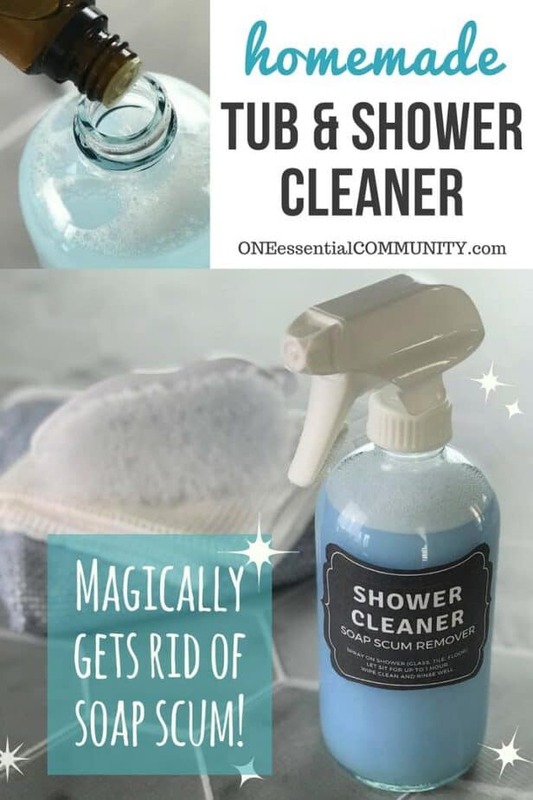 be amazed to how this magical shower cleaner was so easy and worked so well! All the soap scum, hard water spots, dirt and grime will be gone. You’ll have a shiny shower, sparkling faucet, and gleaming tub that smell clean & fresh. note: Do not use on granite or marble. The acid in the vinegar could eat away at the surface and cause pitting. 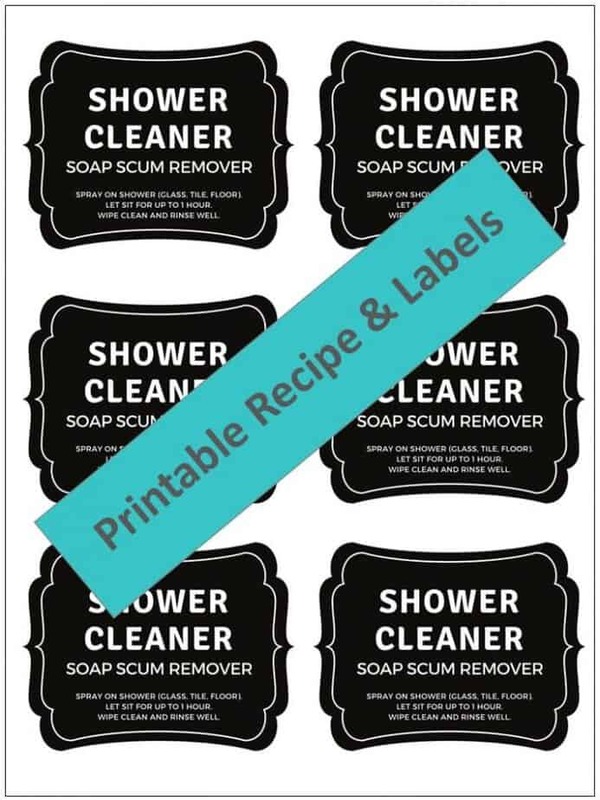 caution: like all soap, this cleaner can make your tub/shower floor a little slippery until it’s rinsed off. 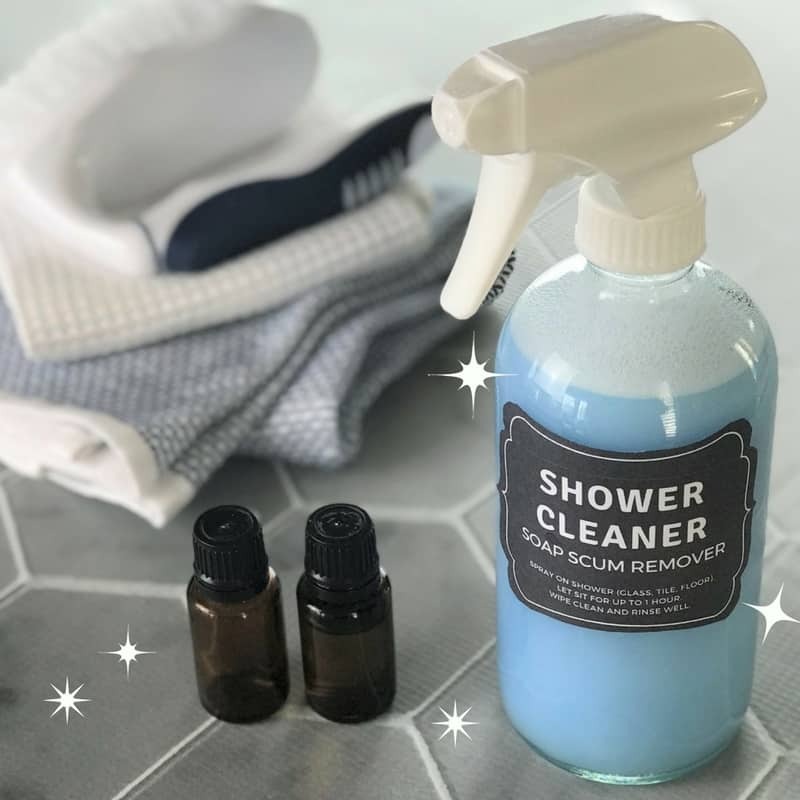 It works so well because of this powerful deep-cleaning trio. 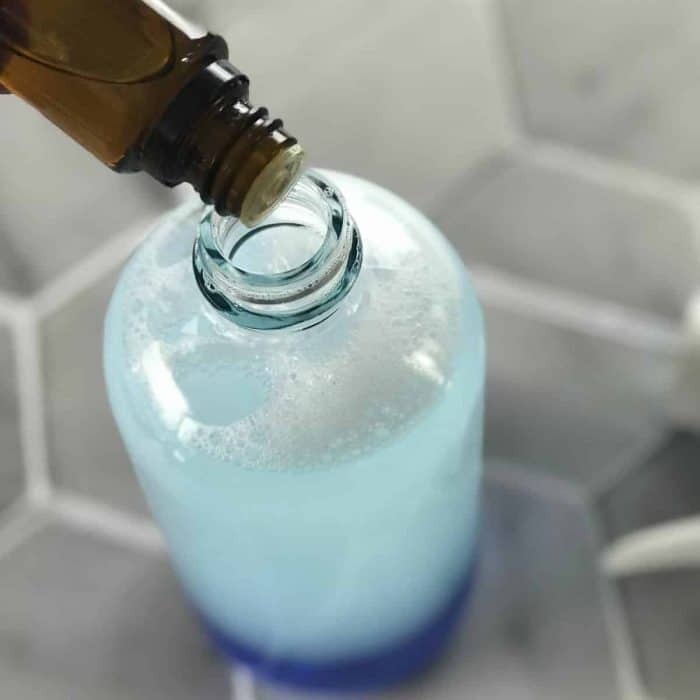 vinegar: Vinegar is a great natural cleaner for the bathroom! It fights mold and mildew. It eliminates odors. It’s so acidic it dissolves soap scum, removes hard water spots, cut through dirt and grease. And it’s a great rinse agent, so it leaves you with a super shiny shower. 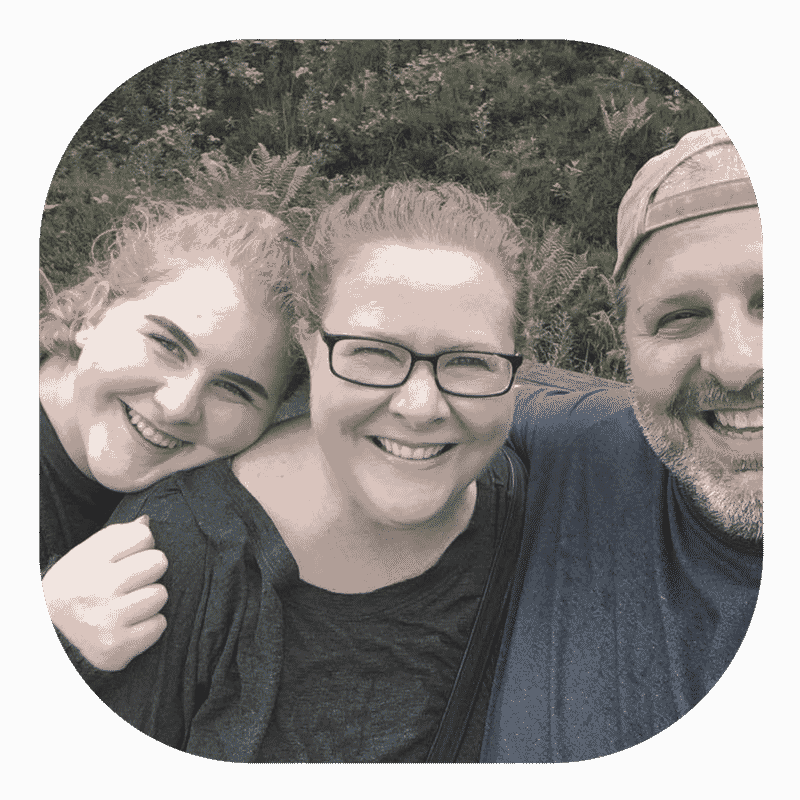 Dawn Ultra: This is the main powerhouse ingredient in this trio. Dawn Ultra dissolves grease, dirt, and soap scum like nobody’s business. It’s the workhorse that brings everything together. And it makes the cleaner thicker so that it clings to shower doors and walls. 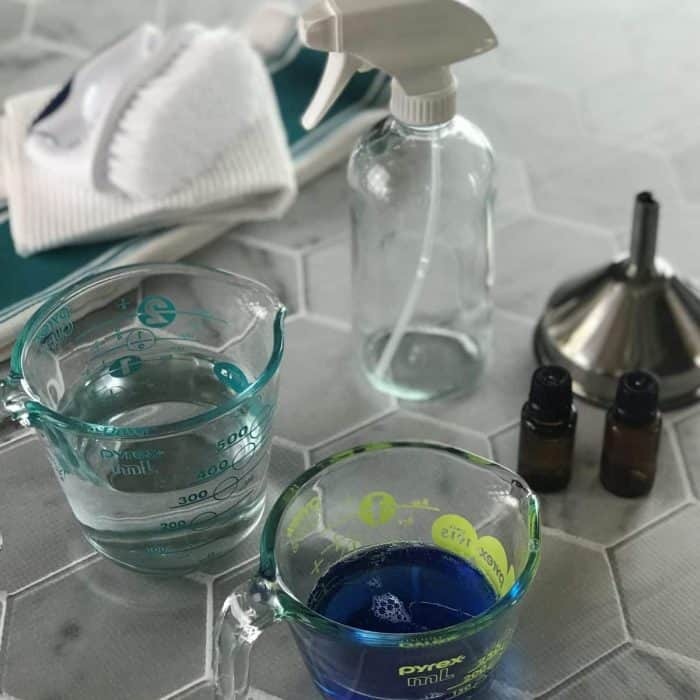 essential oils (mix of lavender, lemon, eucalyptus, and tea tree): This combination of essential oils is antifungal, so it treats and helps prevent mold & mildew. 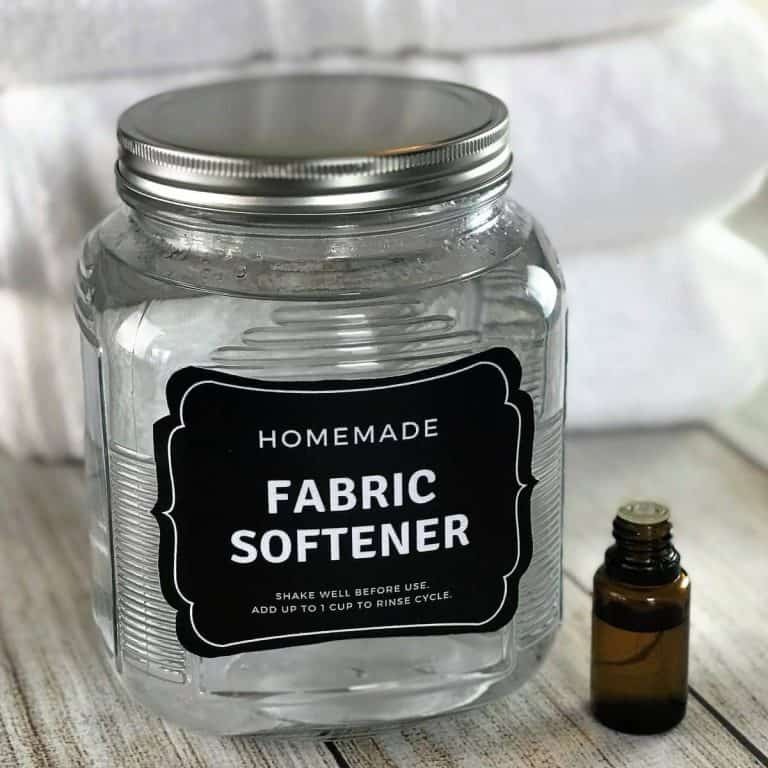 It’s also antibacterial, antiviral, deodorizing, and purifying. 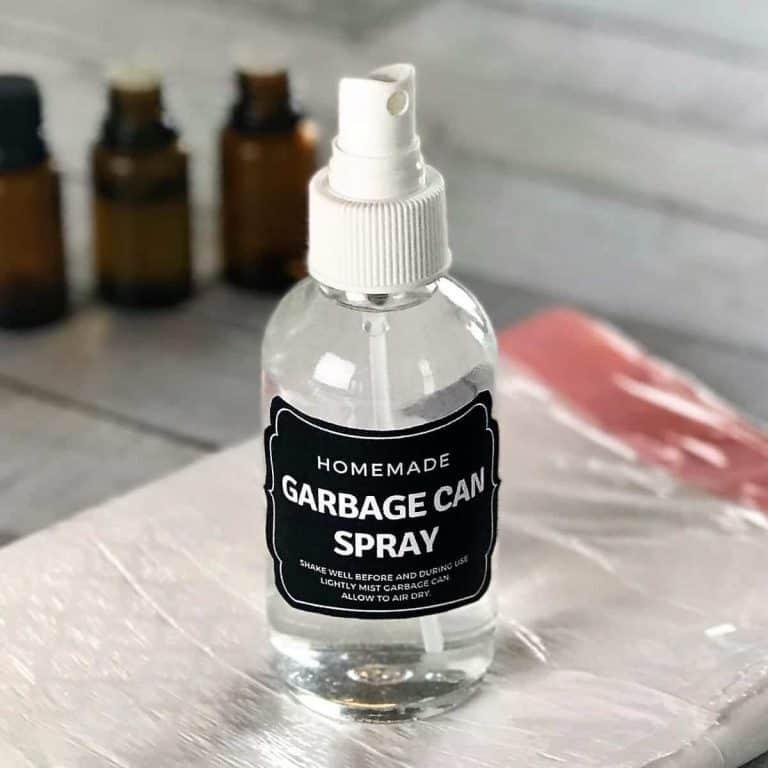 And it has a great fresh, clean scent!